Used to reduce pressure spikes in supply and return lines to protect the carrier hydraulic system. The high pressure accumulator is field repairable without removing the breaker from its mountings. 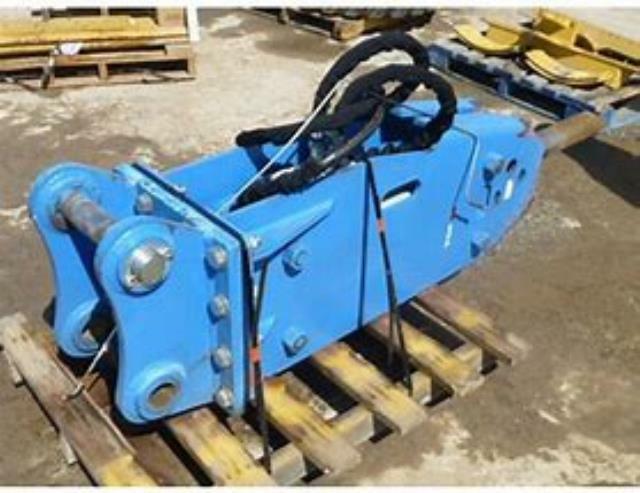 Breakers under 4000 lbs. do not require accumulators. Cup seals are utilized to secure the flow in the oil and gas chambers. Cushions piston on the upstroke, eliminating the need for shock absorbers. Increases the piston down stroke force. A central grease port with internal grease passage allows you to easily adapt the hammer to most Auto Lube systems. Choice of moil, chisel, blunt and special application tools. Travels through one machined piece (no misalignment). The long stroke design reduces shock loads and vibration, which can cause operator fatigue and machine stress. 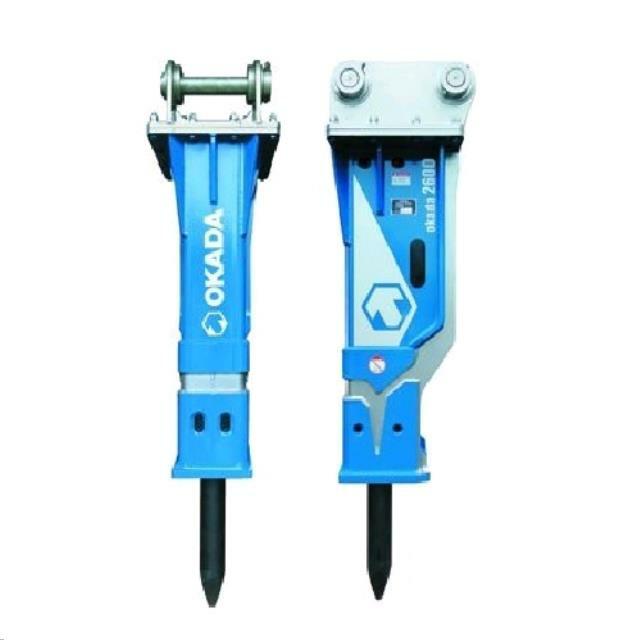 Okada breakers have the highest tolerance to high operational back pressures available without negative operational effects. 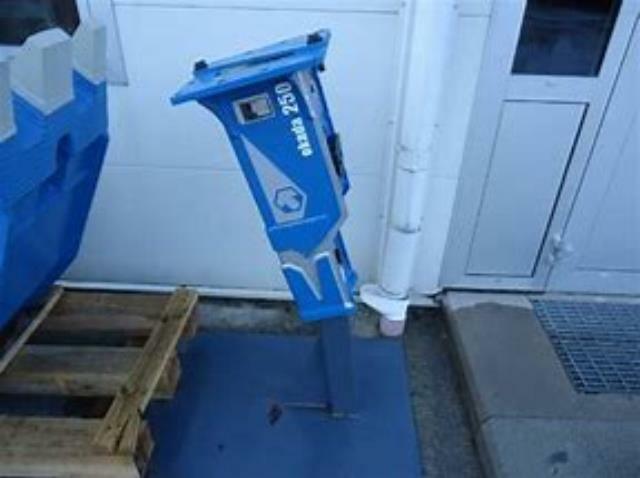 Heavy dual chisel set pins in many Okada models offer extended service life. The TOP205, TOP270 and TOP295 have a two-speed feature. Max frequency is while the breaker is in short stroke mode. Operating weight excludes a backing plate for skid steer configuration. Please refer to carrier specifications in order to see what combination is best for you. Custom engineered single and two-position brackets give excellent results on many popular carriers. We are able to match most manufacturer's quick coupler requirements. Universal brackets are mounted on a variety of carrier machines using a slip-fit pin kit. These brackets are recommended for rental applications and users who have multiple carrier machines. * If you have questions about skid steer okada breaker 800 lb rentals in the Kansas City Metro area, please give us a call at (913) 432-3656.